When popular books are adapted into film, many people often disapprove of the film because they feel that it was not an accurate portrayal of the book. There are certainly many pros and cons to bringing a novel to the big screen. Each author weighs these pros and cons when making the decision to have their work adapted into film. Different arguments have been made for and against how filmmakers handle the challenge of producing a movie that accurately portrays the book from which it is based off. When making a book into a movie numerous factors must be considered. Not only is it very expensive to make a film, but it is a completely different art form than writing prose. A book is a very personal experience, as you read you picture the characters and scenes as you interpret them in your head. When you watch a film, the director has to make the decisions of how they want the characters to be shown to the audience. Though directors try their best to give a visual version of the same personal experience you get from reading a book, it is not always successful. This is part of the reason for some of the readers’ disapproval. Also, many times novels can be quite lengthy. When an author is writing, they are in the mindset that they will include every bit of information that they deem important to the story. However, when it comes to adapting a novel into a screen play, the screenwriter will have the mindset of including only the most relevant details. A huge factor in writing a screenplay is time. Each full page in a script is about one minute on screen. Most movies seem to average around two to three hours for the reasons of cost and what seems practical for the amount of time that people would actually sit and watch the movie. Not many people would sit through a six or seven hour film. This means that each script should be a maximum of 120-180 pages. This creates a problem when making a film out of a six hundred page book. It is also usually better if the author of the book does not attempt to write the screenplay for the movie. On a panel at the Boston Book Festival, Buzz Bissinger, author of Friday Night Lights, had commented, “Let’s face it, the form of a book is different from the form of a film, is different from the form of a television series. I think the author writing the script is unable to make the kind of choices that you have to make.” Bissinger’s point seems logical, as the author of the book make feel too attached to every part of the story. It would be difficult for them to cut out any unnecessary details, since they may just see every part as necessary. Depending on the budget and various other factors, some movies adapted from books will come out great and others will not. Some authors will be proud of their decision, where others may regret it. Lois Lowry, author of The Giver, is one who is proud of her choice. She says that in the end it was all worth it after the eighteen years it took to prepare the film for the screen. In contrast to the contentment that Lowry feels about the movie, it seems most readers feel the opposite. Most reviews of the film give a maximum of three stars. It is the popular opinion that the themes and deeper meanings from the book were lost in the film. People feel there is a lot missing. 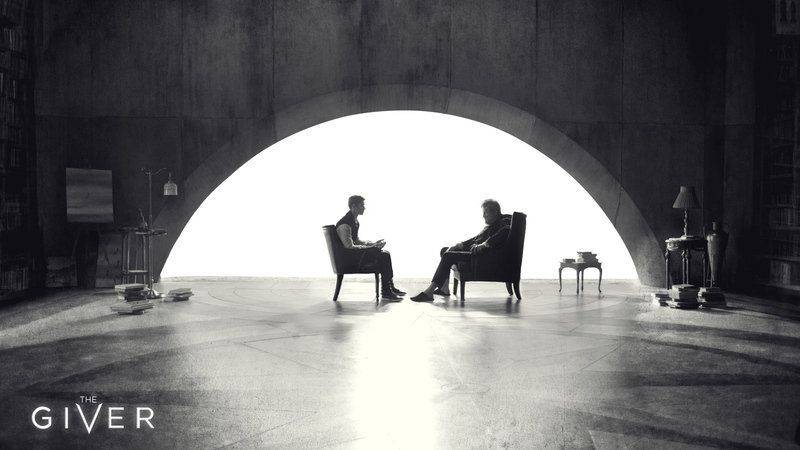 One reviews states that, “The Giver has its moments, but generally fails to convince the viewer of the credibility of the world it inhabits”. Clearly, the movie adaptation of this classic young adult novel is another prime example for the betrayal that readers may feel watching their favorite books turned into movies. Though there are many reasons contributing to how a movie must be made, books often do seem to lose a lot of the magic when translated into film. Excellent discussion! Book lovers each have their own personal experience, which makes it nearly impossible to match those experiences in a film. But then in addition to that, all the other things that go into making a film, make it much more challenging to match the book. This gives me a new appreciation for film. Thank you.